A great gift for someone who appreciates or lives in the country or on a farm is this Tractor Winter Season Mat. This mat can be used as a stand-alone mat, or you can pair it with any of our trays. An indoor tray adds an anti-fatigue foam that works on easing stress on your back, knees, and feet. 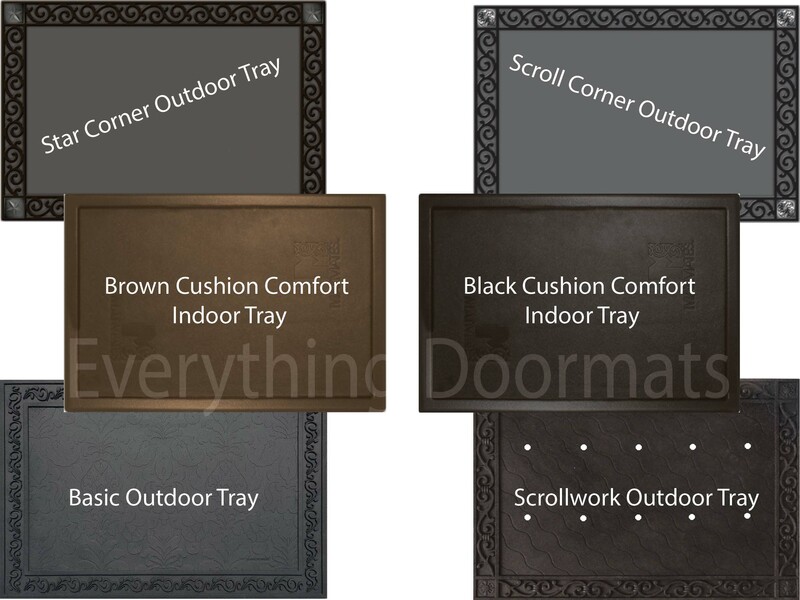 The outdoor trays are great for adding extra decoration and flourish to your front or back door. Place your mat by the front door, in the kitchen, by the bathroom sink, and just about anywhere else. The astonishing finish and color is apt for any environment. Created so you can use it either inside or outside the home. The dye injected surface is stain and fade resistant. Made with recycled rubber that is environmentally friendly. If placed outdoors, it will endure just about any weather condition. Can be displayed in the office, by the kitchen stove, in front of the fireplace and many other places. This Tractor Farm Life doormat is 18" x 30" when used as a stand-alone mat.